If your Oracle database is connected to the Oracle Grid you can easily manage your backups through Enterprise Manager. 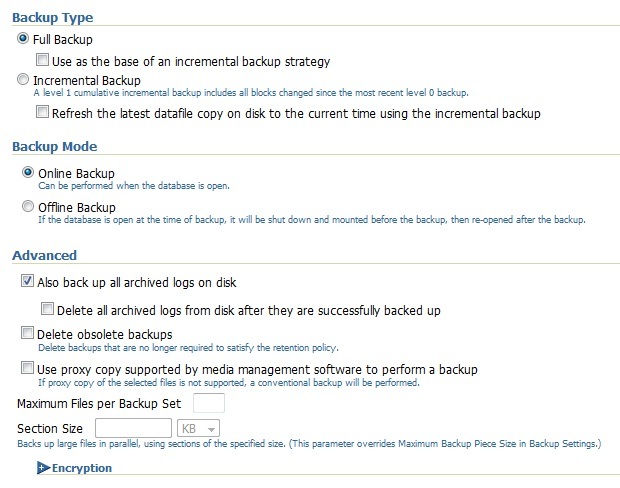 This allows you to schedule a multitude of backups without going through complex RMAN scripts. 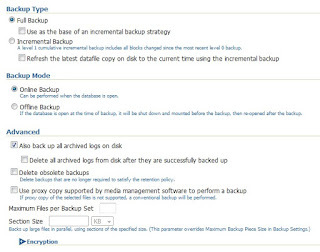 Step 5: In this last screen you choose whether you want a full or an incremental backup. In the next screens you set a date and a time and finally save your backup.